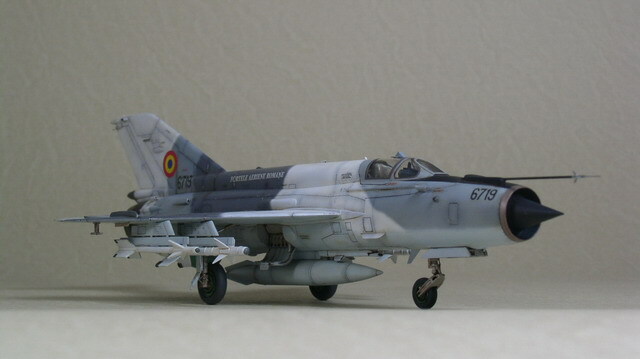 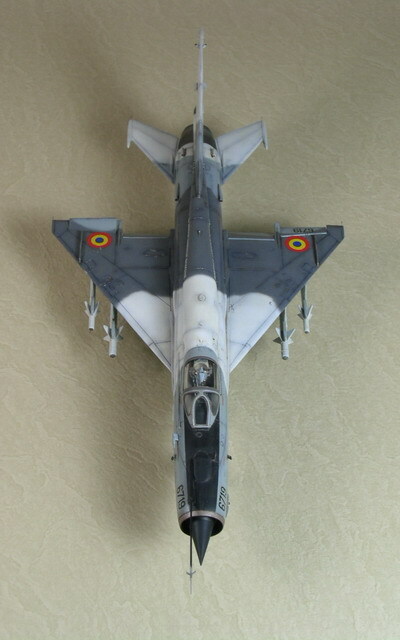 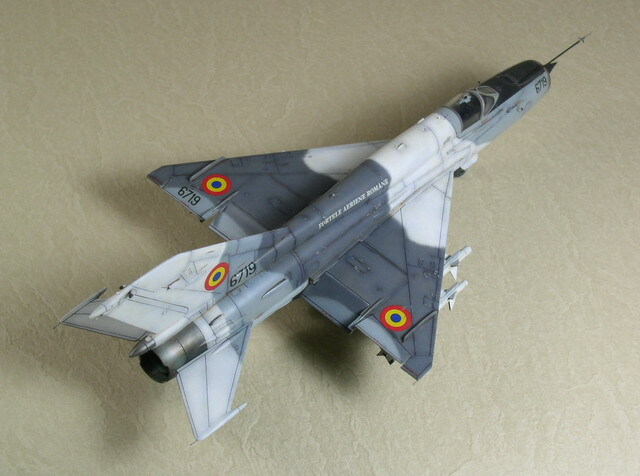 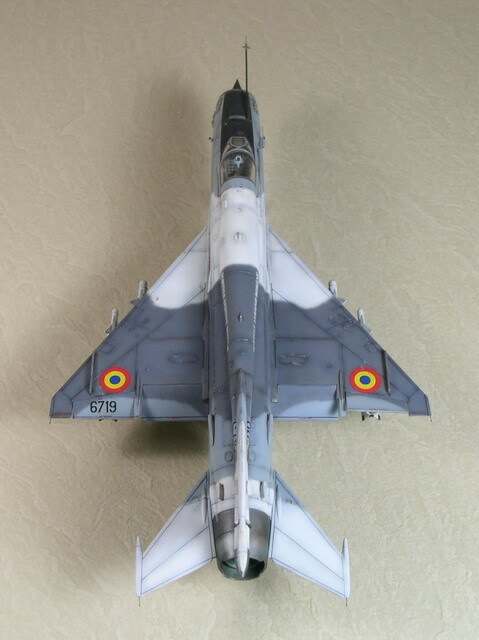 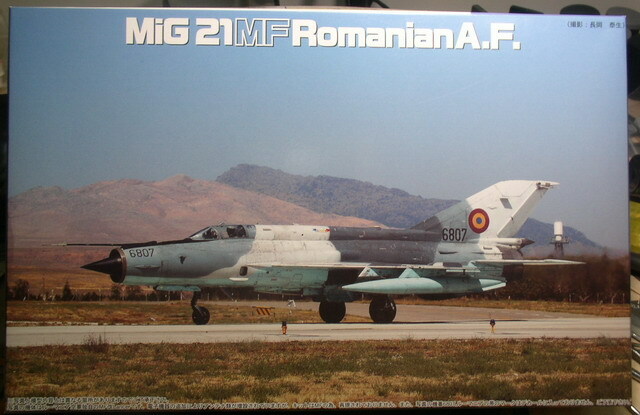 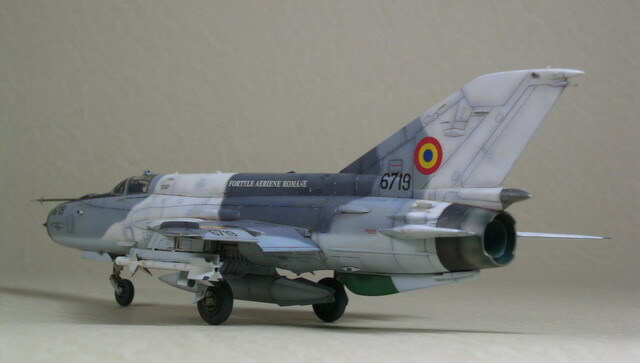 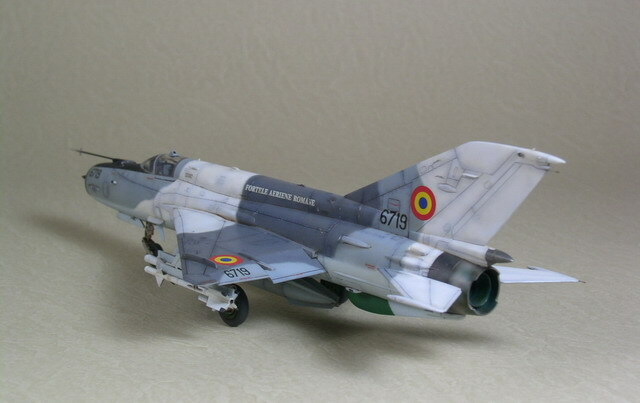 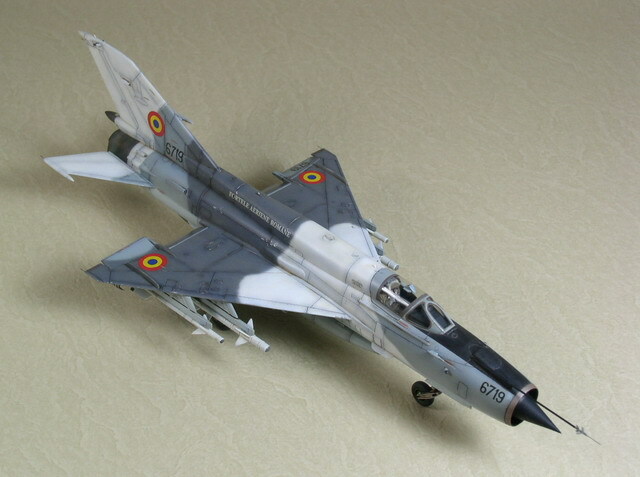 This is my second Romanian MiG, after the first one by "Sniper". 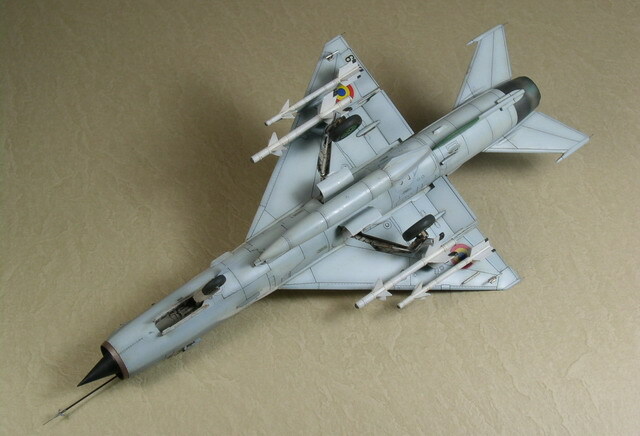 I used a special edition kit released by Fujimi, with the "Lancer" decals in the box. 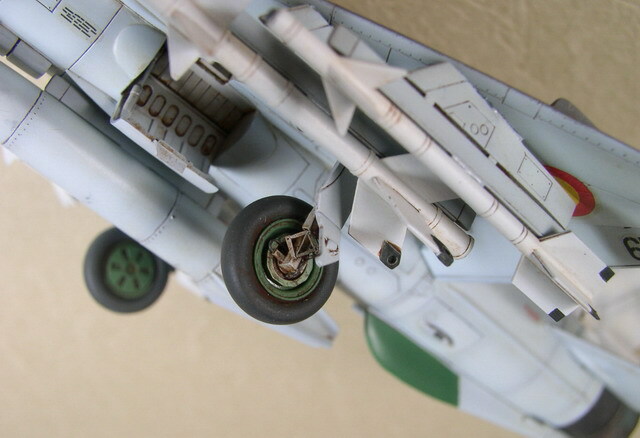 The MF Fishbed from Fujimi is really a bis and has many accuracy problems, though it looks quite good in panel lines and some details. 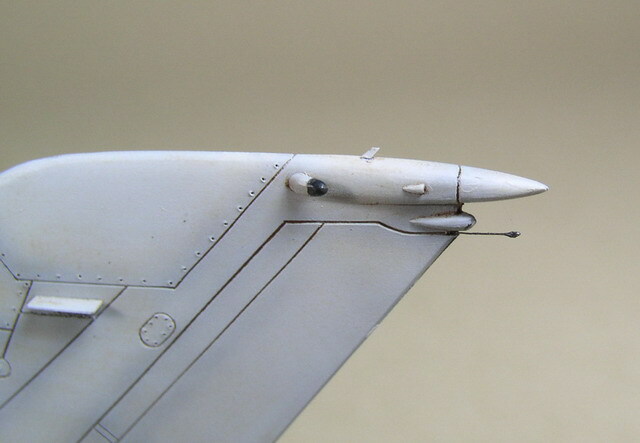 I didn't make any serious accuracy modification this time because I just wanted to enjoy the smooth progress of building a easy-made kit this time. 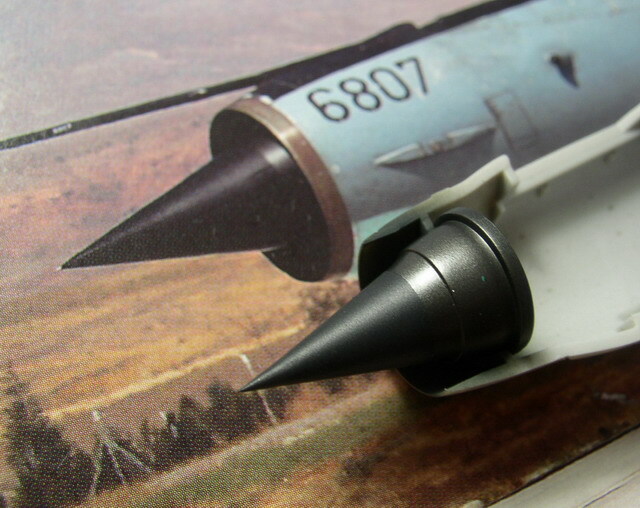 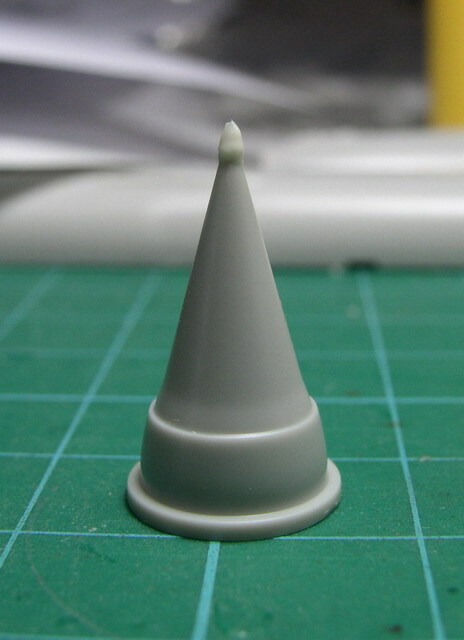 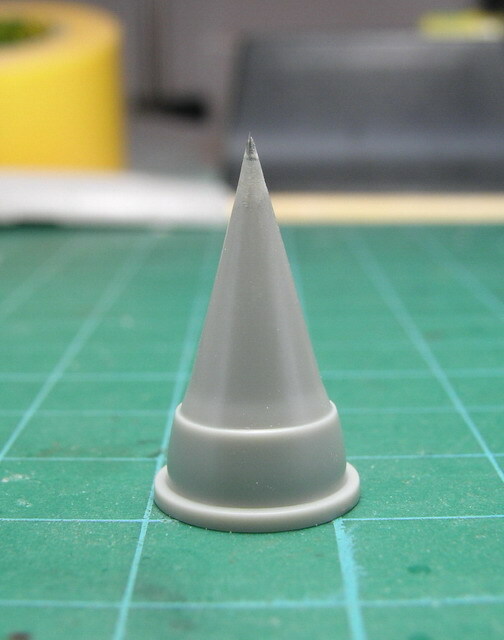 In order to keep nose cone always sharp, I used a stainless needle top to strengthen it. 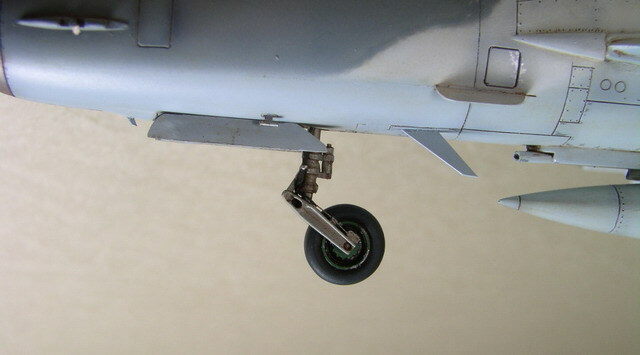 And I added some wiring and detailed structural features on landing gear legs (They are in quite nice molded and it is really worthwhile adding more). 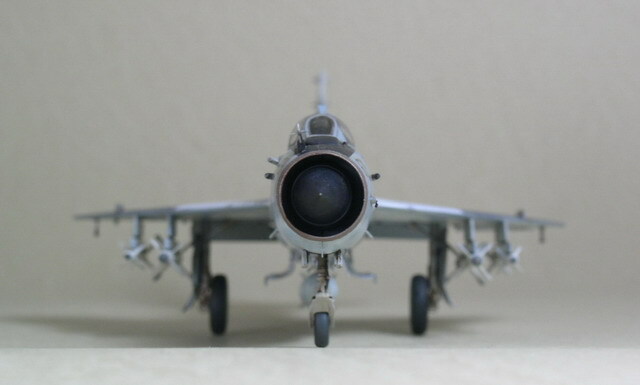 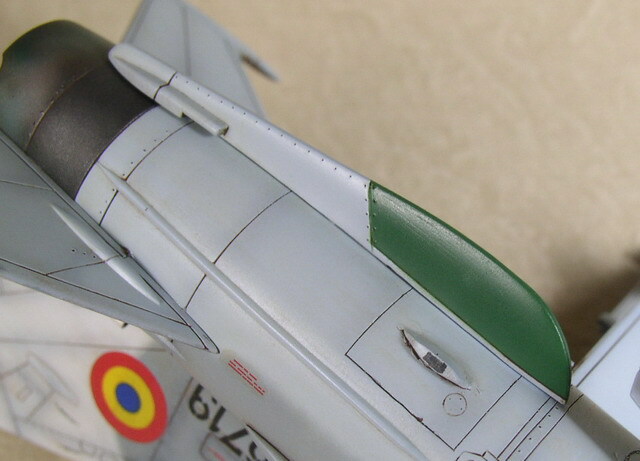 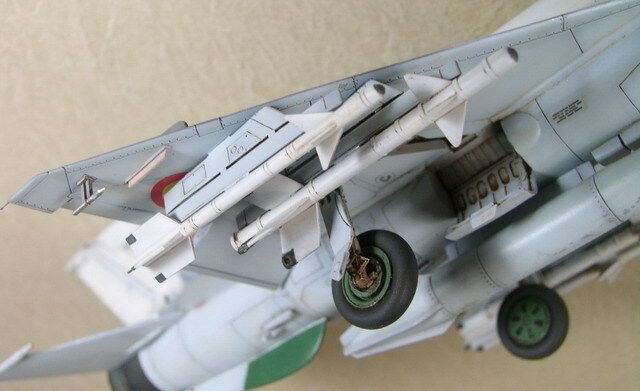 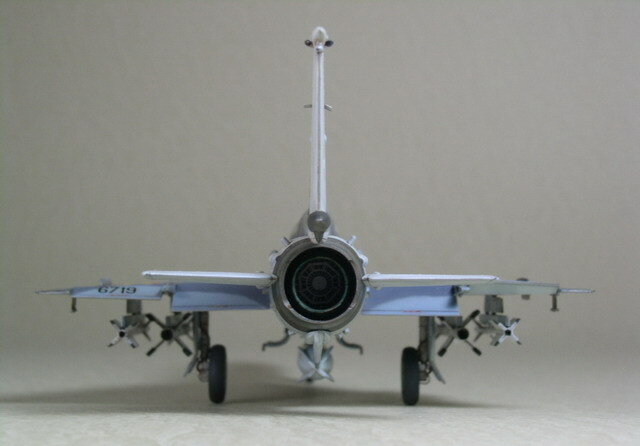 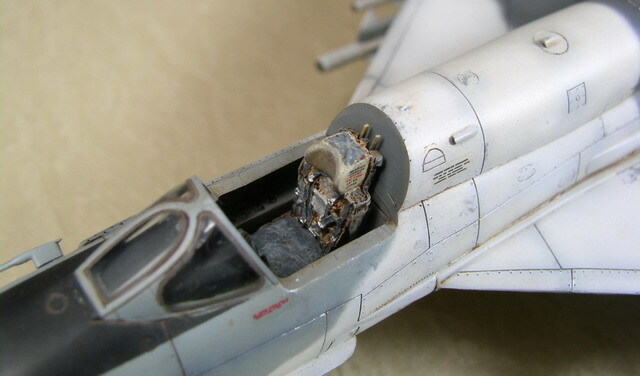 Then I made some rivets on the bird, and the reference is the plan from MiG-21 book by Czech 4+ Publication. 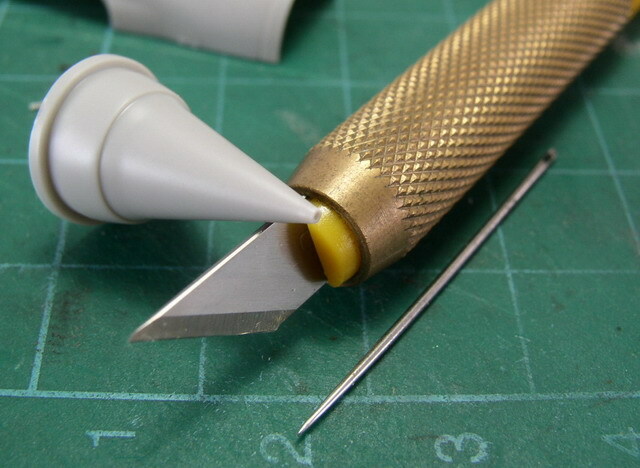 During my building, I obtained a lot of help from many friends in different forums. 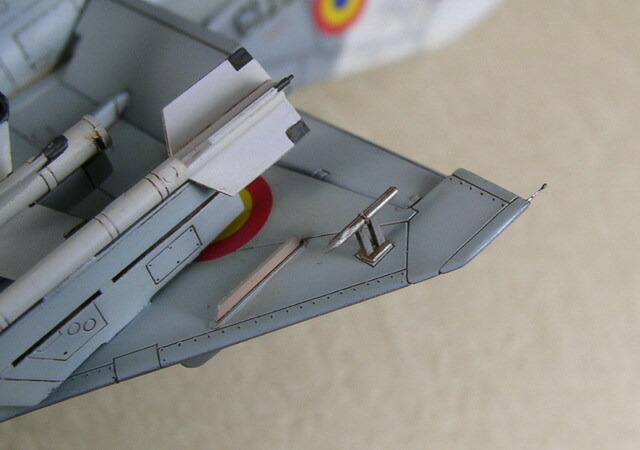 Without their help, I would not be able to add the accurate antennas on this "Lancer". 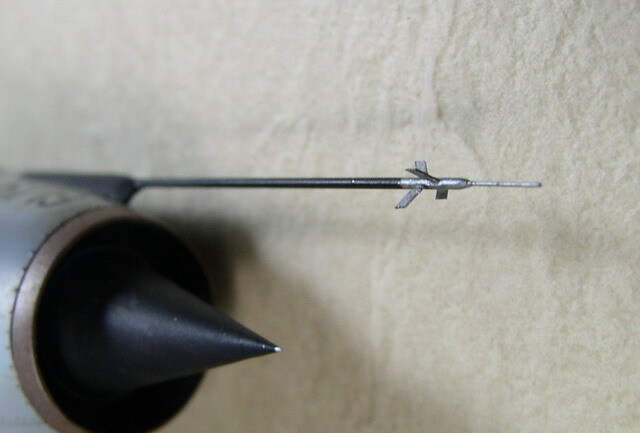 I must express my appreciation here. 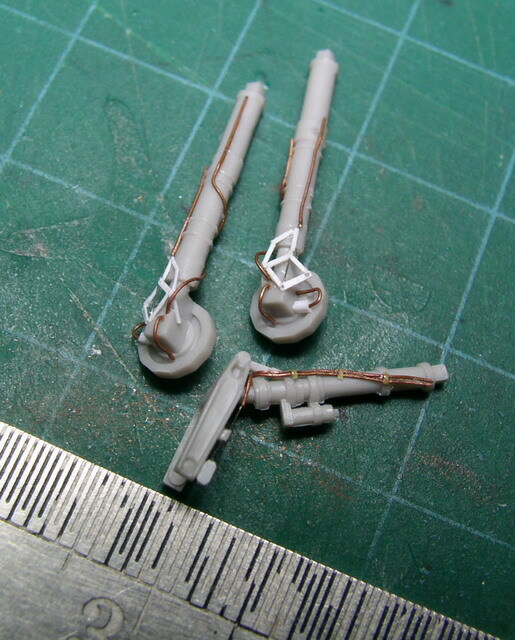 In addition used a resin seat from Pavla Models. 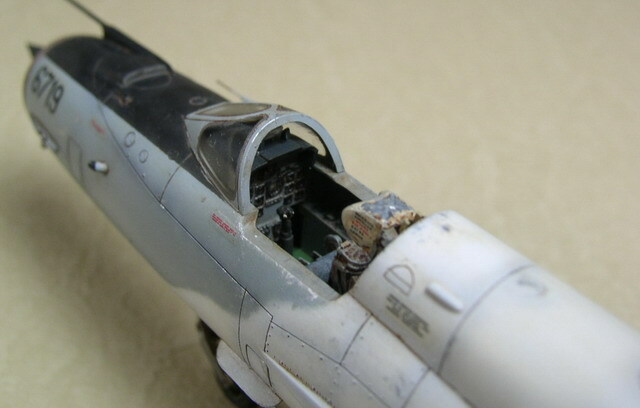 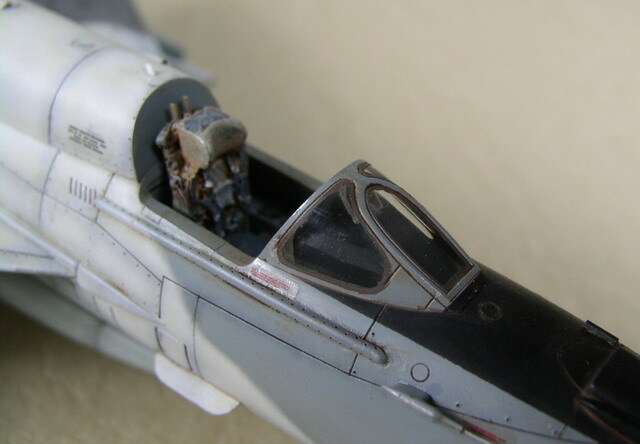 And I remade the little fins on the pitot by Evergreen 0.14mm plastic sheet. 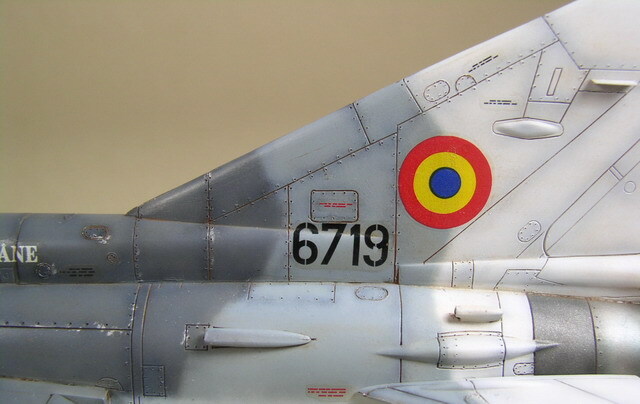 Hope you'll enjoy this "Lancer"!